on the hats of the girls. I was thrilled with this postcode. It couldn’t have been a better match. My study background is in Modernist and Post-Modernist literature, and I’m fascinated by everyday surrealism and unusual spaces. Food factories tick those boxes for me. Before I started writing, I imagined my piece might be mechanical; full of the metallic clunks and clatters of the factory. 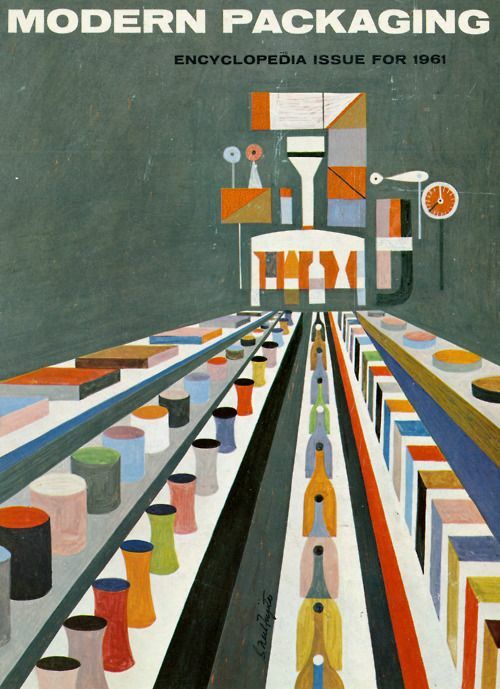 I also thought about the compact dynamism of William Carlos Williams’ poem The Great Figure as well as a wonderful avant-garde image of a factory by graphic designer S. Neil Fujita created for the cover of Modern Packaging Encyclopedia in 1961. 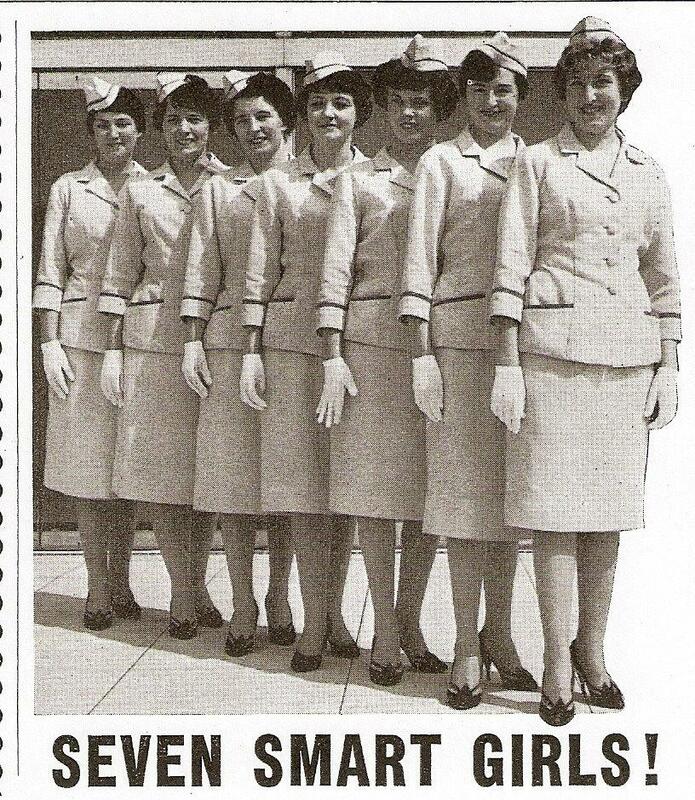 But a little research of the site led me to a newspaper clipping of 1960s tour guides, seven, dressed in identical uniforms, with a caption of “Seven Smart Girls.” The fresh-off-the-conveyor-belt, automaton vibe seemed a natural extension of the factory itself. Writing the piece flowed quite quickly from that discovery. Really enjoyed this piece. I am also fascinated by factories and used to visit quite a few with work – I was always impressed by the efficiency of the ‘line’. There are many fine lines and phrases in this piece – labelled, seven smart girls, flexed,bent. It has great flow – much like this particular factory floor I imagine and is ultimately really pleasing to read – made me smile!